. كما يقدم Home Backpackers الكثير من الخدمات لإغناء رحلتك في سيدني. يقدم الفندق تسجيل وصول/خروج سريع, تخزين الأمتعة, واي فاي في المناطق العامة, التوصيل من وإلى المطار, غرفة عائلية لضمان الراحة القصوى لضيوفه. تعكس غرف الفندق البالغ عددها 36 المنتشرة في 2 طوابق جواً من الدفء والألفة.خدمات عصرية مثل اتصال لاسلكي بالإنترنت, غرف لغير المدخنين, مكتب, ميني بار, مروحة موجودة في بعض الغرف المختارة. يقدم الفندق العديد من الفرص للاستجمام كمثل مسار جولف - ضمن 3 كم, حديقة, غرفة ألعاب. يحظى فندق Home Backpackers بموقع ممتاز وخدمات يصعب منافستها. The room we were allocated to was very stuffy and smelly. One of the fans near the upper deck could not be adjusted to oscillate, that made staying on the upper deck annoying. The blanket was with quite a lot of blood stains which was very disgusting. The floor of the room was inclined. The door could not be locked manually, that sounded unsafe inside the room. Although the receptionist told us the wifi signal in the room was not the best and we should go to the TV room for better signal, the wifi in our room did not work at all. In terms of shared facilities, the kitchen was smaller than a tiny kitchen and it was very old. The fridge's handle was broken. Perhaps we came back late, there was no hot water supply for the shower. 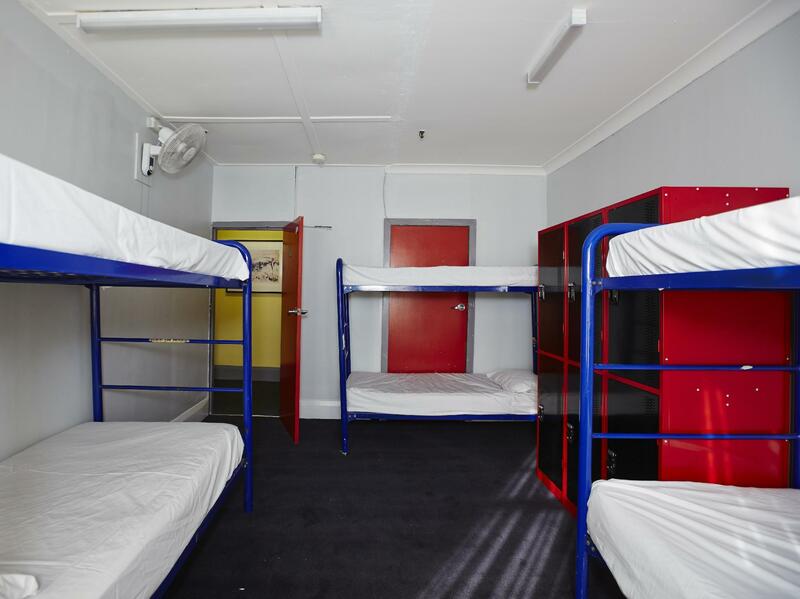 Since we started finding room a week before our arrival, this is already the cheapest room with own bathroom and shower near Sydney CBD. Rubbish are collected daily. The room itselft is fine. Shower has hot/cold, but the faucet has only cold water. Just a word of caution, upon successful booking, always confirm with the reception your booking; we booked a room with own bathroom and shower, but were assigned to a room with shared bathroom and shower. Good thing there is an available private room for 2 days, but for our last day we have to transfer to shared room due to the erroneous reservation. Will only book this place again if there is no other cheaper room with own bathroom and shower. Older property in need of some TLC. This property would have been adequate if the weather was not 35 degrees and 100% humidity as there wasn't any air con and one of the two fans in the room was nor working. Also the room was very small at the top of the building so it was stuffy and very very hot. As I have a skin condition which is allergic to heat I had to leave the accommodation and source another location which had air conditioning. However the staff were very professional and friendly and if it was cooler it would have bee adequate for my needs. The hostel faces the street, so its very noisy. Sound proof is not good, easy to hear some guys walking in the floor above. No aircon in the room, only fans. And fans is noisy, so we also stopped it.. room is hot and stuffy. No elevator, not good if u have big suicase. I checked in late at night, reception already closed and i needed to call them on phone. Luckily that my phone still worked oversea, otherwise i didnt know what to do.. i couldnt sleep properly.. cheap price is good, but it does not deserve to be traded off with the quality of sleep. Toilet and bathroom has cockroach. Will never stay here again..
We arrived late (approx. 12am) but staff more than happy to allow us in as I had previously stated we would be arriving late. Left early, again they were more than happy to check us out 30 min prior to their opening hour of 8am. Overall I had a great experience. 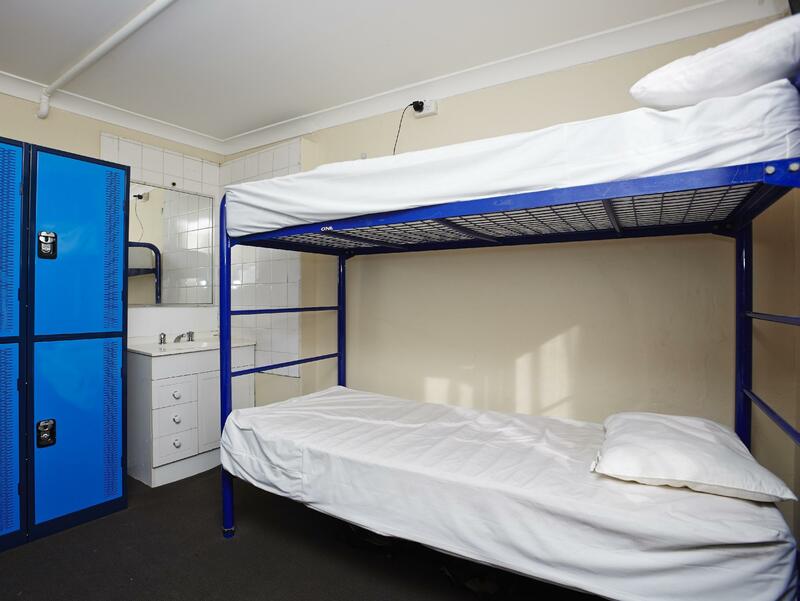 I was in a double which was spacious for a backpacker room and was clean. The staff were really helpful and great. The bathroom needed a thorough clean but it was ok for a short stay. Close to central station is good.No WiFi in room.Shower and toilet area little bit small. we only stayed for one night and were assigned to a room at the end of corridor (in the corner), right beside the toilets. The smell was awful because the smell diffused from the toilets and there was no ventilation in the room . Cleanliness is a serious issue because a huge cockroach crawled into my bag that night. Would recommend to stay only if you are staying for one or two nights, or if the great location outweighs the awful cleanliness. Staff was slightly disappointing because he didn't even inform us about wifi and pantry location. 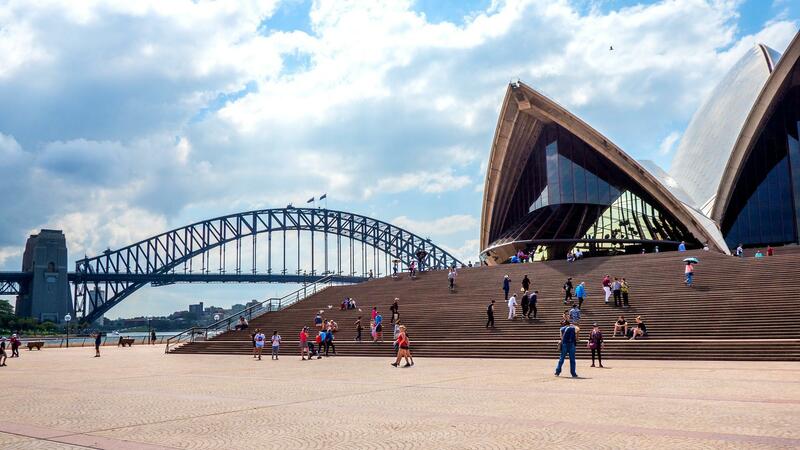 super great location with walking distance to chinatown, paddy's market and QVB. Room is clean and comfortable and has enough space for three of our luggages. However, cleanliness is a big issue because huge cockroaches can be seen almost every night crawling around the corridor and into the toilet. Most of the toilets also have a huge hole on the window. Will recommend if you allow the great location to outweigh the cleanliness. The buidling is pretty old. Our room is fine, bed and mattress is really good condition. We really love our bunk bed its truly soft and clean. We have a great sleep because of the bed and pillows. Baht room inside our room is truly disgusting and stink. It smell really bad. We barely use it during the day. They need to clean or renovate the bathroom asap, I'm serious. Kitchen is dirty, there's few facilities and few cutlery. Kitchen counter is dirty, Tiny space is acceptable but cleanliness is poor. It close to central. Honetly, I wouldn't come back because it not clean enough. But seriously the bed is super comfy for bunk bed room. It is hot at night during summer, no air con! The room is dirty, i saw cockroaches everywhere. The kitchen is so small, it is very hard to cook if there are more than 2 peoples. Reception will close after 8pm therefore late check-in is not welcome. Though it is the cheapest and just near the central station, but I would still not recommend you to come here! 1.it is close to the central station, so it's convenient to take train or bus. 2.There were not many ppl using the kitchen, so even the kitchen is very small,We could still cook our own food. The front desk would not let me check in before 12pm. Just tell me to lock the baggage in lockers( cost $4/day). Finally, I checked in to the room , it was a 4 beds dorm, the door frame was totally broken , the door could not lock at all ! I told the staff if I could change to another room, but they said they couldn't change and there would be someone come to fix it the next day! But that someone NEVER come! It is cold at night, no heater! The room is dirty, so as the bed. though it was the cheapest, but I would still not recommend you to come here! The kitchen is really small ( only about 4 single beds big), the stove place in the corner, so it is very hard to cook if there are more than 2 groups! Leaving the establishment, never coming back and being far far away from the place. Horrible, terrible, definitely the worst place I have stayed in the 15 countries I have traveled too. I arrived and there was no matress on my bed, there was no blankets for me only some sheets in the middle of winter, there were extra people staying in the room who shouldn't have been there. When they finally found me a bed it was broken and on an angle so I slipped off as I slept. The showers are disgusting mouldy and smelly and there was only 2 for the whole establishment. Rooms were unkept and smelled putrid. Everything about this place is wrong. Seriously just spend an extra and go another hotel 50 metres up the road. I cant believe that a place like this can be in business. No air con. No elevator. No towel.